Left, above: View of the “Constellations” Gallery. Photo by Jason Mandella. Courtesy of the Jewish Museum, NY. Like others, I have been reflecting on this new project, struggling to understand its intentions, its achievements, and its problematics. Before going further, however, it is worth noting as a matter of full disclosure that I served as the interpretive planner for the Jewish Museum’s prior core exhibition, “Culture and Continuity: The Jewish Journey,” which presented a linear historical storyline This new iteration does not, and it doesn’t in ways that are both interesting and challenging. Three strategic considerations seem to give “Scenes from the Collection” its meaning and shape. The first is the Museum’s intention to underline the remarkable diversity of Jewish culture across time and space–and its implications in today’s fast-changing world. The second is the Museum’s decision to shape its program as an anthology of stories rather than as a single integrated narrative. The third is the Museum’s plan to periodically revise or replace many of the installations–and the opportunities that flexibility and rotation present to the Museum and to its audiences. I applaud all three of these strategic decisions. 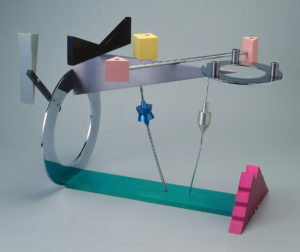 Left: Peter Shire, Menorah #7, 1986. Photo courtesy of the Jewish Museum, NY. The processes of change have produced what Ellen Frankel in The Jewish Spirit describes as “multicultural diversity.” As she says, “Jews have lived on every inhabited continent, spoken dozens of languages (including many creoles of Hebrew and native vernaculars), borrowed religious ideas, customs, symbols, and superstitions from numerous cultures, and stirred up their own gene pool many times.” In choosing to emphasize change rather than continuity in its core narrative, the Jewish Museum has opened the way to move beyond what Juliana Ochs Dweck calls “the Torah of the familiar and the predictable” to embrace a multitude of Jewish moments, cultures, and identities. This can be especially useful in relation to recent and contemporary Jewish creativity, which is characterized by a plethora of artistic approaches and content. Which brings us to the Jewish Museum’s decision to organize its new exhibition as an anthology of exhibits, a succession of probes, rather than as a singular thematic narrative. 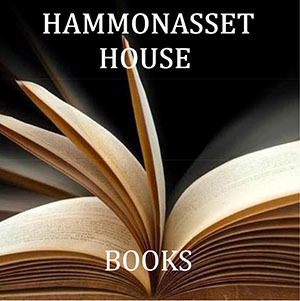 On one level this makes great sense, as even the most fundamental of Jewish core texts, including the Hebrew Bible and the Talmud, are anthologies of stories, rules, and principles. Thus, “Scenes from the Collection” comprises seven discrete exhibition areas, each with a distinctive name, space, and mandate, and each drawing on different elements of the Jewish Museum’s collections. 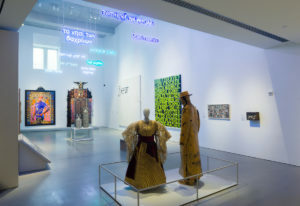 By so doing, the Museum has signaled its intention to offer a variety of artistic and cultural expressions and–explicitly–a diversity of Jewish identities through time and space. Right: Installation view of “Constellations.” Photo by Jason Mandella. Courtesy of the Jewish Museum, NY. Coming into the core exhibition space on the fourth floor, visitors tend to follow a linear sequence through the seven exhibition areas of “Scenes from the Collection.” Moving counter-clockwise from the elevators, visitors enter “Constellations,” the largest of the seven exhibition areas. 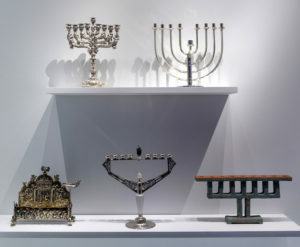 In this double-height gallery visitors encounter a small, eclectic display of Hanukkah lamps, two remarkable mannekins (one displaying a sumptuous Moroccan wedding dress, the other an oversize costume-sculpture of the legendary Golem), and an ornately carved Torah Ark from Iowa. 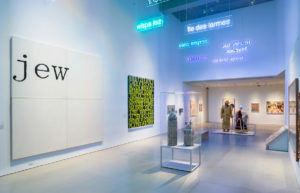 The preponderance of the gallery space is occupied by works of visual art–mostly paintings but including a few photos, sculptures, and a video installation–produced by artists working in the 20th and 21st centuries As its name suggests, the gallery is intended to suggest constellations of form or content within a universe of varied artistic expressions. Left: Display of spice boxes in “Taxonomies. “Photo By Jason Mandella. Courtesy of the Jewish Museum, NY. The second gallery, “Taxonomies,” is less aptly named. This is a small square room packed with ritual objects and a miscellany of objects (model ships, buttons, scrimshaw) reminiscent of a classic ‘cabinet of curiosities.’ Touch-screens provide access to information about each of the items on display. 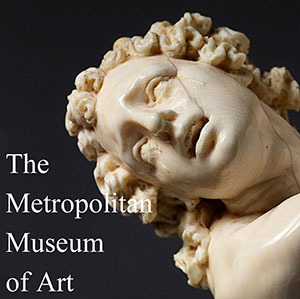 The third gallery, “Masterpieces and Curiosities” offers focused attention to one or several collection objects. In its inaugural iteration, the gallery features a bracelet of charms and tags collected by a survivor of Theresienstadt (aka Terezin}. On the surrounding walls, visitors will encounter photos of this “model” village–actually the scene of brutality and murder–and other artifacts produced by those imprisoned in Terezin. A touch-screen provides information about each of the pieces attached to the bracelet. 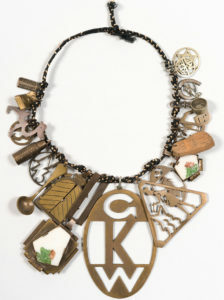 Brass, porcelain, and cord. Gift of the Estate of Greta Perlman, JM 86-75a-t. Photo courtesy of the Jewish Museum, NY. The fourth exhibition area, “Accumulations,” displays more than 100 stereographs of significant sites in the Holy Land, produced around the beginning of the 20th century for educational and commercial purposes. Visitors are invited to see some of these images through stereoscopes, viewers which give a compelling three-dimensional effect. 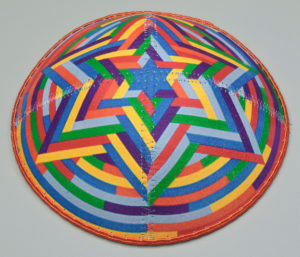 The next gallery in the sequence, “Signs and Symbols, centers on the history and varied representations of the “Shield of David,” the six-pointed star shape that in modern times has come to symbolize Jews and the State of Israel. Right: Leather skullcap designed by Sol LeWitt (American, 1928-2007). Leather, 1½ x 5? in. 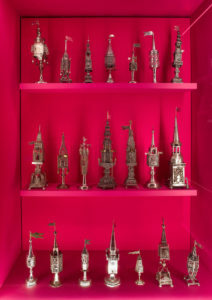 The Jewish Museum, New York, Purchase: Nash Aussenberg Memorial Fund, 2012-23 Photo courtesy of the Jewish Museum, NY. The penultimate exhibition area is a viewing and listening space that features material from the Museum’s National Jewish Archive of Broadcasting (NJAB). This unique collection, which now comprises more than 4,000 television and radio programs by and about American Jews, appears under the rubric of “Television and Beyond.” The current offering, “Family and Friends,” is an 18-minute videotape composed of eight clips from mainstream shows broadcast in 2015. Collectively, the videos offer a humorous, engaging, and lively portrait of contemporary American Jewry in nearly all its diversity, though the Orthodox community is virtually unrepresented. 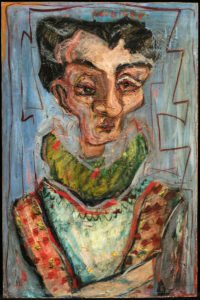 The seventh and final gallery, “Personas,” features 13 self-portraits by Jewish artists. 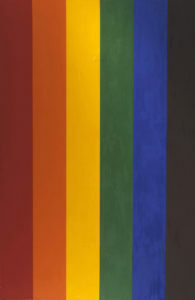 These range from Moritz Daniel Oppenheim’s classic c. 1815 self-image to Ross Bleckner’s abstract Double Portrait (1993) that expresses his identity as a gay Jew. 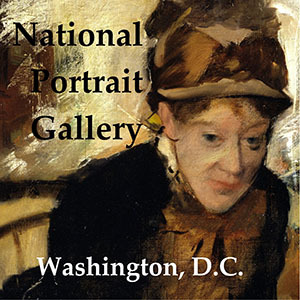 One of the most interesting features of this gallery, incidentally, is the fact that the preponderance of the artists represented are women, though this is not mentioned in the interpretive texts. The Jewish Museum, New York, Purchase: Francis A. Jennings Bequest, in memory of his wife, Gertrude Feder Jennings, 2000-15Photo courtesy of the Jewish Museum, NY. The seven exhibits are complemented by a series of interpretive panels that recount successive stages in the development of the collections since 1904. Although these are sometimes useful in providing context for the exhibits in “Scenes,” I agree with Barbara Kirschenblatt-Gimblett who wished that the “text panels dedicated to each period . . . had been presented visually. . . . but also in objects, . . .” I would go a step further and suggest that these texts should explain why the Museum has the things that it has, why it doesn’t have the things it doesn’t have, and what is the underlying purpose, meaning, and importance of the collection. Equally important, this sequence of historical panels should end with a clear statement of the Museum’s current direction and collecting policy. “Scenes from the Collection” offers visitors a partial, sometimes penetrating, portrait of the Jewish Museum’s collections. But the Museum has gone further: in an effort to provide access to additional aspects of the collection and to keep the core exhibition relevant for museum visitors, the JM has committed itself to install new iterations in most of the seven exhibit areas on a rotating basis. While a couple of the spaces–“Constellations” and “Taxonomies”–will remain much as they are, the other five spaces are projected to change at six-month, one-year, or two-year intervals. This will offer the Museum opportunities to display the richness and variety of its collections, to relate those collections to current special exhibitions, and to reward visitors who come to the Museum more frequently. Rotation will also offer the Museum staff an extraordinary chance to tell more stories, to refine its curatorial and interpretive practice, and to experiment with new modes of interpretation and engagement. In a moment of rapid and sometimes radical change, being agile and experimental may be “Scenes from the Collection’s” greatest gift to both visitors and the Museum itself. 36 × 23 3/4″ The Jewish Museum, New York, Purchase: Fine Arts Acquisitions Committee Fund, 2015-10 Photo courtesy of the Jewish Museum, NY. Only when the Museum focuses on that small group of artists whose Jewish identity is important to them and who self-consciously explore Jewish themes does “Scenes from the Collection” rise above the mish-mash of anthropological, historical, and pop culture that the Museum classifies as “art.” The Jewish Museum claims to situate itself “at the intersection of art and Jewish culture, but given vague definitions of “art” and “Jewish culture” that is barely recognizable as Jewish, it has little idea where “the intersection” of the two is presumed to reside. Moreover, visitor engagement is compromised by interpretive text that is often muddled, marginal, or tangential to core issues of identity and culture. If “Scenes” is to effectively explore the meanings of Jewish culture and identity, the exhibition needs to provide tools to encourage visitor engagement with the content, to question and ponder its many variations and subtleties. A layer of interpretive commentaries that link art to history, or culture, or even to modernity, is badly needed. Beyond an occasional word or gesture, the Museum’s staff seem far too narrowly focused on embodying a “presentist” perspective on visual arts. The chief features of this perspective are indifference to continuity and tradition and over-reliance on the idea that all the canons have broken down and, therefore, that anything goes. As noted previously, a corrective interpretation that emphasizes disruption and reconstitution rather than seamless continuity makes a lot of sense; but jettisoning a sense of continuity pretty much altogether is a classic case of tossing out the baby with the bathwater. The “Constellations” gallery, which is clearly the space in which the Museum has most deeply invested (given its scale, the number of art works, and its projected longevity) is a good case in point. Despite the expressed concern to broaden consideration of art and culture beyond Western Europe and North America, only a couple of objects come out of Jewish communities in other parts of the world. In fact, Western Europe is under-represented and pieces by contemporary Israeli artists are effectively absent. Some of these lacunae may be deliberate: virtually every American Jewish museum has distanced itself from dealing with contemporary Israel, fearing a backlash from political activists of various stripes and colors within the Jewish community. 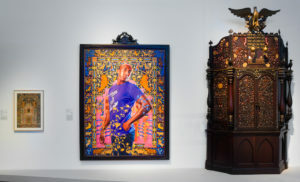 Left: Kehinde Wiley, Alios Itzhak (The World Stage: Israel), 2011. Oil and enamel on canvas, 115 × 80 × 1/8″. Museum purchase: Gift of Lisa and Steven Tananbaum Family Foundation; Gift in honor of Joan Rosenbaum, Director of the Jewish Museum from 1981-2011, by the Contemporary Judaica, Fine Arts, Photography, and Traditional Judaica Acquisitions Committee Funds, 2011-31. Photo courtesy of the Jewish Museum, NY. And these lacunae are compounded if one takes the view, as I do based on Danger! Three Jewish Peoples by Avraham Avi-Hai (1997), that there are three distinct polities emerging within world Jewry and the divisions among them are growing sharper by the day. Religiously progressive or secular Jews living outside of Israel–the non-Orthodox Diaspora–see themselves as citizens of their native countries and expect that their children and grandchildren will do the same. Non-religious and non-Orthodox Israelis, on the other hand, see themselves as citizens of the country of Israel; Hebrew is their native language, not a holy tongue and rabbinic texts are literature, not holy writ. Adherents of world Orthodoxy, whether in Israel or the Diaspora, constitute a third polity, whose lives are governed by traditional Jewish law and observance. Only the first of these polities will encounter much to engage or inspire in “Constellations,” since virtually nothing on exhibit derives from Israeli or Orthodox culture or speaks to Israeli or Orthodox identity. 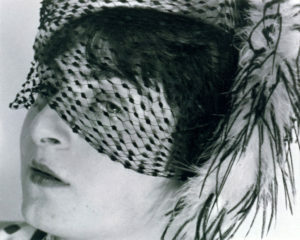 Right: Ringl + Pit, Untitled (Pit with Veil), 1931. Photo courtesy of the Jewish Museum, NY. And even if the JM has chosen to focus its efforts on engaging secular and religiously liberal Jews, there is still a dearth of relevant content and context in the “Constellations” gallery. 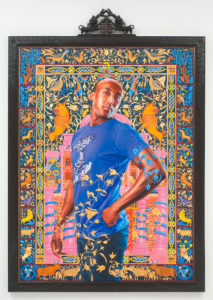 There are certainly correlations and connections among the works on display–some reflect shared interests in a subject, writing for example; others stem from shared political or cultural stances, such as several works by feminist artists; a couple of pieces refer explicitly to the shared experience of immigration into the U.S.; and several pieces share an enthusiasm for ornament. 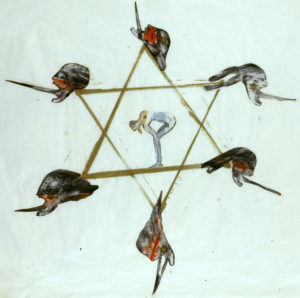 The works are mostly serious and interesting–and some are striking, such as William Anastasi’s disturbing painting titled “Jew.” But, frankly, most of the greatest Jewish artists of the past century–or even of the contemporary moment–are notable for their absence (or are represented by secondary work). There is a kind of hodge-podge quality to the exhibition: it’s not quite as confused as the classic critique would put it–“a place where every separate object kills every other and all of them together [kill] the visitor.” But it does give off a whiff of that scent. Compounding the limitations of the displays, is the uneven quality of the exhibition text panels and object labels. These range from the occasionally poetic to the occasionally appalling. Most of the texts are informative and clearly written, but some are problematic. The main text panel that opens “Scenes from the Collection” exemplifies both the strengths and weaknesses of the exhibition’s writing (and, therefore, of its creators’ thinking, as well). The second sentence reads: “A museum is essentially an archive of art.” Well, some museums aim to be archives of art, but most museums actually collect historical materials, natural history specimens, or technology. If the JM meant that “This museum is essentially an archive of art,” then why not say so. Fuzzy thinking and an unnecessarily foolish statement. The second and third paragraphs of the panel text, though platitudinous, are clear enough, but the fourth paragraph lands the Museum in a series of muddles. Visitors are told that “Scenes” present “art and culture together,” as if art is not an integral part of culture: this phrasing makes no sense either in logic or practice. This is followed by the statement that the collection affirms “universal values that are shared among people of all faiths and backgrounds.” I would be interested to know what these “universal values” are. If the curators meant that they would like to make the collection accessible and understandable to visitors of all faiths and backgrounds, fine and dandy; but this is not what the text says. 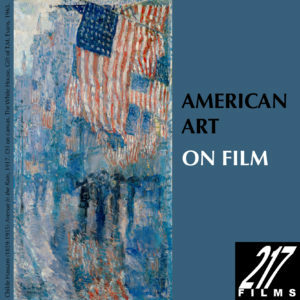 The text then goes on to say that “Scenes” embodies “the breakup of artistic canons that were dominated by the art of Western Europe and North America.” This is curious, indeed, given the overwhelming predominance of objects and artworks that stem from these very regions and their respective traditions. Left: Still from Grace and Frankie (Netflix), 2015, featuring Lily Tomlin and Sam Waterston. Image provided by Netflix / Photofest. Courtesy of the Jewish Museum, NY. The fifth paragraph drops a couple of real doozies into the mix. The text reads: “instead of a master narrative . . . objects are set within [seven] overlapping and connected stories.” This sounds as if the Museum is taking issue with its previous core exhibition, which employed a single linear narrative line–but why should any current visitor care about this? And, in any case, denying that there is a master narrative is foolish: the new master narrative is that the diversity of Jewish tradition, spirituality, and history requires a pluralist approach! Beyond this, right in the middle of this illogical assertion is a sentence telling the visitor that “Scenes” refers to the “dramatic and interactive qualities of theater.” I regret to say, curatorial intentions notwithstanding, that this is not a dramatic exhibition–neither in its juxtaposition of objects nor in its vocabulary of design–with the sole exception of the very lively video clips in “Television and Beyond.” A simpler and more accurate title would be “Encounters in the Collection,” which comes much closer to one’s actual experience. The titles of the seven exhibition spaces are also a mixed bag. “Constellations,” as noted previously is ambiguous. “Personas” and “Signs and Symbols” are just fine and give some hint of what the visitor will encounter in these galleries. But “Accumulations” is not only ugly, but inaccurate to the gallery’s contents; “Taxonomies” is totally irrelevant to the cabinet of wonders it purportedly describes (and the only really unconventional ‘taxonomy’ is a case titled “Knives,” which combines circumcision sets with butchering knives, a weird and silly juxtaposition); “Masterpieces and Curiosities” is okay as far as it goes, but what about quotidian objects and pedestrian works of art that are neither masterpieces nor curiosities–are not these collection elements, too, worthy on occasion of focused consideration? And my favorite gallery by far, selections from the National Jewish Archive of Broadcasting, is saddled with the awkward (and inaccurate) title, “Television and Beyond.” In reality, the NJAB includes radio broadcasts and, one would hope, podcasts, blogs, tweets, and the like will find expression in this area in coming rotations. The good news, of course, is that much of this awkward and inaccurate language can be revised and refined at modest cost in new silk screens and adjustments to the Museum’s website. 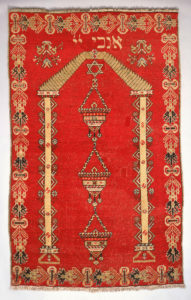 Right: Reader’s Desk Cover Ottoman Empire, late 19th-early 20th century Wool: knotted, 65 × 41″. The Jewish Museum, New York, Gift of Dr. Harry G. Friedman, F 3409. 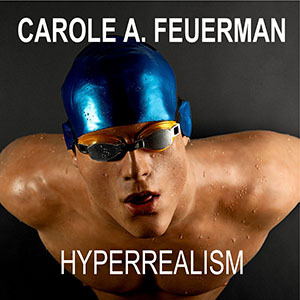 What actually cuts much deeper is what appears to be ignorance of–and even worse, indifference–to Jewish civilization beyond the most narrow of aesthetic or visual arts boundaries. There are a couple of passing references to the “rich intellectual tradition” of the Jewish people, but in this core exhibition one encounters not one book, not one illuminated manuscript, not even a Sefer Torah. Yet the artistic imagination and creativity of the Jewish people over 3,000 years is manifest in a vast corpus of stories and tales, legends and law, poetry and epic, beside which the objects and images in “Scenes” pale in stature, complexity, depth, and power. When the exhibition text tells us that a Turkish rug was used to “cover the desk on which the Torah is read during the service . . . [and] shares many elements with the Muslim prayer rugs from which they were probably adapted,” but fails to place ceremonial objects in the larger context of either Jewish ethical and religious values or even the tradition of “adorning the commandment,” it is missing the boat. Left: Nancy Spero (American, 1926-2009), Victims, Holocaust, from The War Series: Bombs and Helicopters, 1968 (1968) Gouache and ink on paper, collage, 24¾ x 39½”. The Jewish Museum, New York, Purchase: Milton and Miriam Handler Fund, 2005-48. Photo courtesy of the Jewish Museum, NY. But it is when the exhibition script talks of “extermination camps” and “extermination sites”–language of the Nazi oppressor, which implicitly equates its Jewish and non-Jewish victims to vermin, instead of terms like “killing centers”–that the Jewish Museum has abnegated its claims to be a source of meaningful identities. Whose sensibilities were being protected in this usage? This seemed to me a powerful statement about the importance of attentiveness not only in art, but in general–and in the next second it struck me that much of Jewish culture, tradition, and history is about encouraging people to lead a mindful (and therefore meaningful) life. It was disconcerting to realize that in a single sentence at MOMA–a secular institution–I had encountered a more profound, provocative statement about Jewish civilization than anything I had seen, read, or heard at the Jewish Museum’s collections exhibition. So much for the Jewish Museum’s mission statement about “serving as a special touchstone of identity for Jewish people,” let alone for a multicultural audience. Very thoughtful and thorough review. I’m always happy to see myself quoted, especially in a good cause.